In the Internet of Things (IoT) evolution, standardisation is key to facilitate the connection and communication of devices. 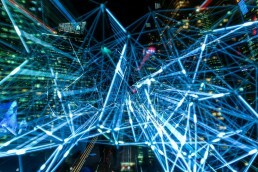 The IoT promises billions of connected objects which need a common language to run with an adequate, manageable and scalable level of complexity. IoT standardisation not only reduces the overall cost of data and associated transport costs but also increases data security as, through standards, it is possible to specify data ownership and under what conditions data can be released to others.All this and much more will be debated at the IoT Week – Standards & Technologies – organised by the European Telecommunication Standards Institute (ETSI) that will take place on 22-26 October 2018 in Sophia Antipolis (France). In the recent years, the ETSI IoT Week has become the must-attend event for anyone involved in IoT and who appreciates the value of standards-enabled technologies and deployments. SBS expert Massimo Vanetti will intervene at the event to highlight the value of IoT standardisation both for digital SMEs and user SMEs. While for digital SMEs standardisation means reducing re-iteration of design and efforts intended to ensure interoperability, user SMEs benefit from IoT standards to design systems without turning to closed proprietary solutions. For more information about the event and to register, please click here.